Look what arrived in the post…. I had been rushing home everyday after work for the last week waiting for my Aesthetic Magazine to arrive. I got in on Tuesday and there it sat on my desk. I rushed to open it and gave a little Squeal as i pulled it out of the envelope, much to my parents amusement! Even though I have un/officially been illustrating for two years I don’t really ever have my work featured in magazines. So I love the feeling of being able to hold something that has your art work Illustrated on it, in print for the world to see. 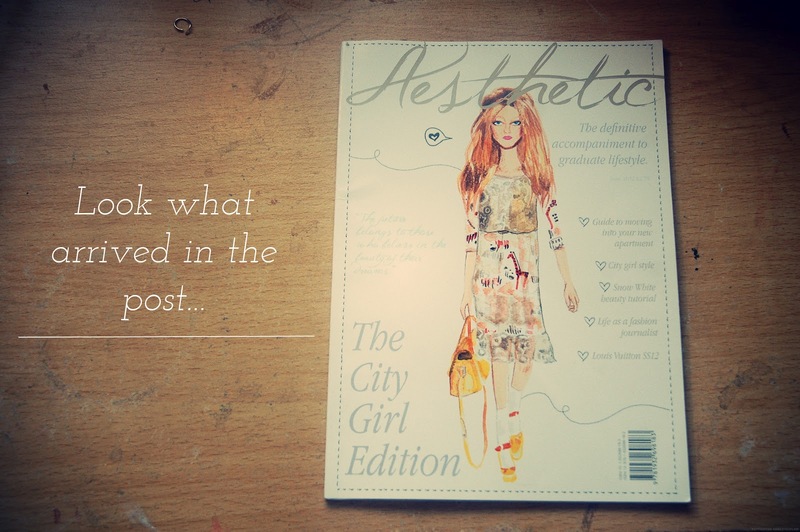 If you don’t know already the lovely Aesthetic Magazine was created by the lovely Michelle of Daisy Butter and Lauren Austin. The front cover was illustrated by Philippa Vernals of coco skies how beautiful is the front cover? It was such a lovely little thing to be part of so thank you Michelle. The magazine itself is the perfect size to fit in your hand-bag and has lovely little nail tutorials, food fashion and life style, if you do fancy checking it out you can view it online here, I think my favourite part of the magazine is the little photo shoot “Hello London” the shoes are adorable and the dresses are lovely. Would be wonderful to see what you think of Aesthetic Magazine…best way to read Aesthetic is with a plate of chocolate biscuits and a hot cuppa tea….Enjoy! 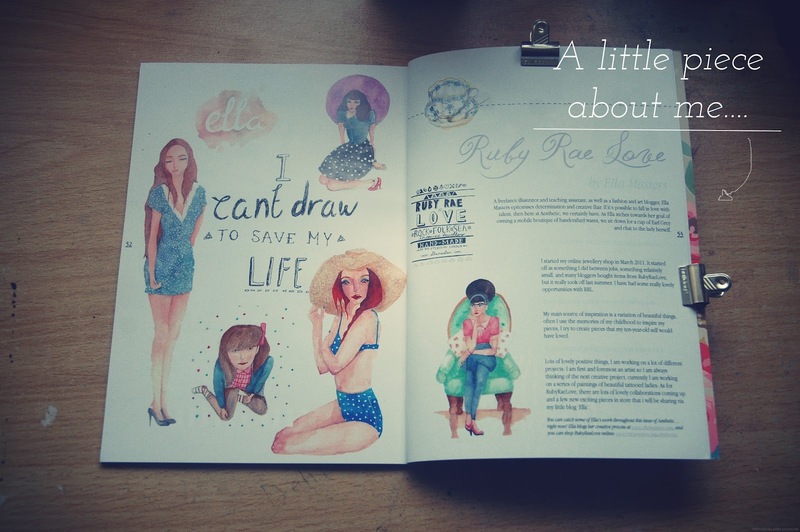 Looks like a completely beautiful magazine, especially due to your illustrations. I was so happy when this arrived too! It made the whole thing feel more real. 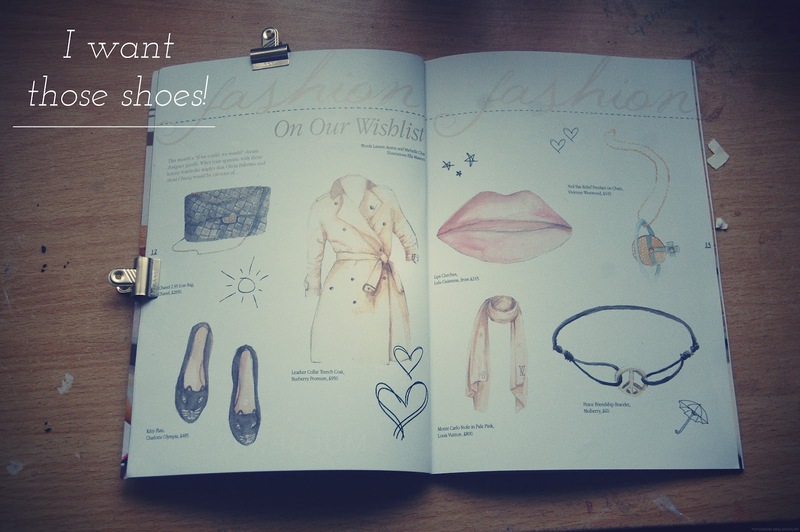 I was drooling over your wishlist page Ella – and every other illustration you did! Haha. When I saw the size I thought it would be perfect to put in your bag too! I love this work of yours it's so pretty Ella, I looked through it on the Internet but I have to say I'd love to buy a copy. It's definitely something I could read through again and again! 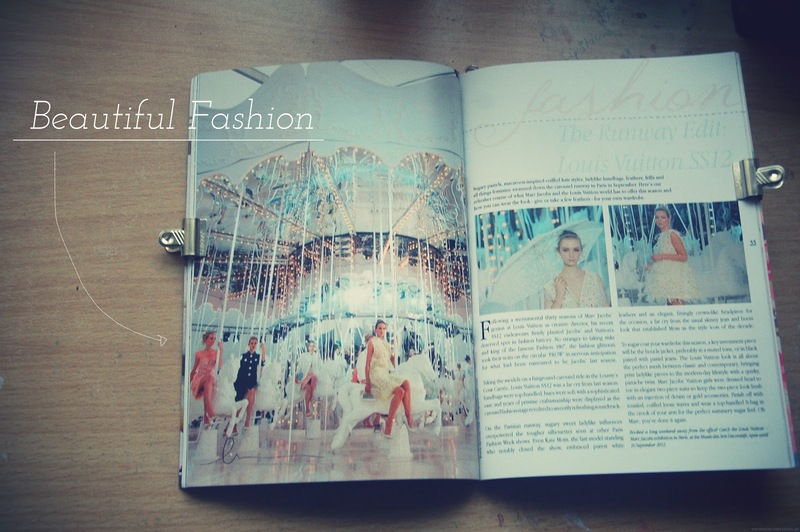 And I love the Chanel feature thats like my favourite collection of theirs, it's so adorable. Ah, well done darling, the magazine looks great! 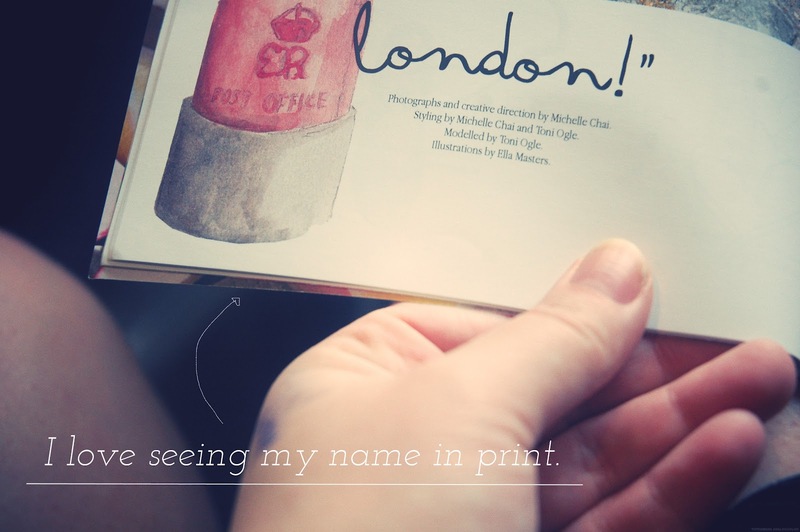 I had a read of it on Michelle's blog, its so good! I'm really surprised you don't illustrate professionally elsewhere. I can just see your illustrations in a modern day Jacqueline Wilson style of teen fiction, I used to love the ones in those! Wow… congratulations!!!!!!!!!!!!!! Great job Ella, super excited for you!